Come and Enjoy the Magnificent Sierra Mountains and Beautiful Lake Tahoe !!! 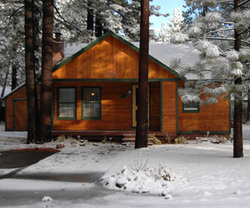 The Cozy Tahoe Cabin is nestled in South Lake Tahoe's original Lakeside Community of Historic Al Tahoe. We are within a short walk to Lake Tahoe, Regan Beach, and the Gorgeous 500+ acre Conservancy Meadow. We are also only 2 miles from Heavenly Ski Resort and the Entertainment of Stateline, NV. Whether your mood is for a quiet relaxing break or a place for fun and adventure, our Cozy Tahoe Cabin is the perfect place to begin and end each day in Tahoe.